The years 2002 and 2003 were turbulent and dismal years for St. Sebastian’s College. Even the green white and gold college flag, which normally flutters gaily in the wind, radiating a lot of energy, seemed faded and dead. The school was in disarray, everyone who called themselves a Sebastianite, whether past or present, were broken in spirit. This is a period which I feel sad to recall. This great school, was like a rudderless ship, the stakeholders, viz. the teachers, past pupils and even students were pulling in different directions, all confused and with no clear focus. During this very difficult time a visionary captain took over the helm of this ship to steer it through very troubled waters in to the clear! He was none other than Father Bonnie. At first I was very skeptical of his proposed Action Plan to revive the school and I thought to myself, surely this is just a dream. Structures of cement and stone “Bonnie did build” but this was just one aspect of his meticulously planned strategy. His illustrious leadership made St. Sebastian, a force to reckon with once again! We were back on track. When Father Bonnie took over the leadership of the school, he was armed with a proposed 10-year strategic plan which was deemed to be too ambitious by people who are only familiar with undelivered political manifestos once power was established. Father Bonnie was no politician, he was a very simple honest man who made things happen. Today our beloved College stands tall with pride, and our flag is once again fluttering gaily in the wind, all because Father Bonnie made good all his promises. He made sure that the new strategic plan was displayed right in front of his office. He then made sure that old boys, teachers and students had a common goal and had a clear direction. He reiterated that the path he has chosen for success is not an easy one, It’s a journey on a rough sea but the sky was the limit. 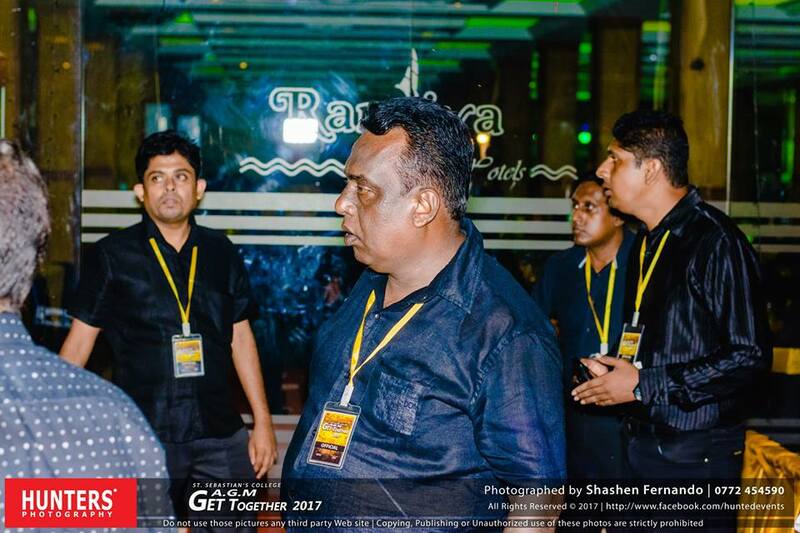 He ensured the lads of Moratuwa were challenged to excel above and beyond what they thought they could achieve with the dignity that their school has empowered them with. The winning mantra of Father Bonnie was clear to every one, DISCIPLINE AND EDUCATION. The lush green play ground, the well-constructed swimming pool, royal chapel, auditoriums, hostel, buildings, land acquisitions were to ensure a conducive environment for DISCIPLINE AND EDUCATION driven by Catholic values. Undoubtedly, he was a man who walked the talk. We still have this image of Bonnie Swami ‘s 10-year plan in my mind. When we go back to school even today we are amazed that the plan was so well executed. He was the Picasso of the St. Sebastian, the blank canvas is no more and today we see his wonderful piece of art. Old boys who were pulling in different directions a few years ago, started working together towards a common goal. He was a people’s person and his organizational skills were exceptional. The college choir is just one case in point. He delegated the entire responsibility to Fr. Prasad who was the best individual to run the show. Within a year we had one of the best choirs in Sri Lanka and many Colombo school choristers were curious to find out the secret! Those who live in Moratuwa understand how difficult it is to bring all “Moratuwa stake holders” of St. Sebastian together. This was ‘Bonnie Swamy’ biggest challenge. It was not only about constructing tall buildings, it was more about getting the Sebastianites to work as a team, leaving aside their petty differences and change from saying “I can” to “We can”. Part of his success could be attributed to his ability to remember the names of all Advanced level students and addressing them by their first name wherever he sees and meets them. To him education was not limited to getting through exams. He was very strict on students attendance and term test marks. His investments in education resulted in St. Sebastian producing all island rankers in most the competitive advance level examinations. Not only did he know students by name but he also had a database of CV’s of students who were desperate for jobs and faced many financial difficulties. Many young professionals who joined to support school as bankers and private sector professionals are products from Fr.Bonnie’s era of rule. His knack to read the minds of the Moratuwa kids was extraordinary. He believed in sports and extracurricular activities and never hesitated to invest in what is needed after a careful risk calculation. He was a go getter. When he perceives opportunities he secures them. If you doubt my words just go and witness the swimming pool constructed with the support of Candle Aid and the Hostel facility done post- Tsunami. He welcomed kids from outstations, supporting them with the scholarship schemes awarded by the church. He made it clear to the students, that, “You are here to study and you can only speak in English”. If you play a game of basket ball of an evening at the college courts, with students from the hostel, you will be amazed at the transformation Father Bonnie has done. It must be mentioned here, that however difficult a situation may seem he was not a leader who tried to please everybody. Not all his decisions were unanimously agreed and well embraced by all stakeholders. Even I had my own criticisms. When criticized he reminded us of Jesus’ words, “He that is without sin among you, let him cast the first stone at her”. We all had our own opinions, but it becomes insignificant when you witness the magnificent results. He delivered on his promises. 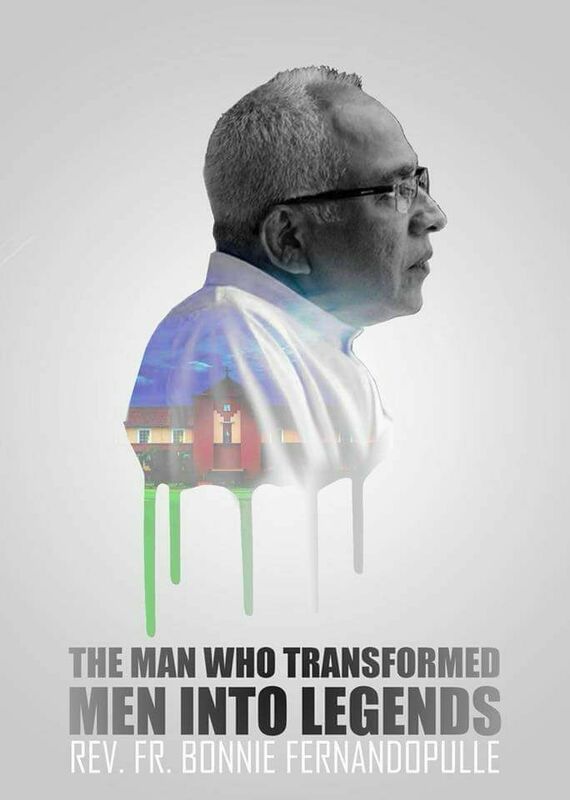 We realized the extent to which the students loved and respected him, when he was transferred to the Dehiwala parish having 2 more years for his retirement. There were no dry eyes among the senior students when father Bonnie announced, “I respect the decision and I am ensuring the development we did so far is taken forward in a better way than I did”. During the same time a principal was transferred in a neighboring school on the other side of the Lunawa lake. The parents, students and old boys were blocking the traffic to show their disappointment to the high authorities. Father Bonnie did things differently, he was humble enough to bow to the decision made and to ensure the transition was done smoothly and without any song and dance. Finally, the decision was reconsidered and blessings were given by God for “Bonnie Swamy” to retire after completing his work at St. Sebastian’s. He worked extra hard to ensure that things will be better for the future generations. We will ensure that, the legacy Fr. Bonnie’s left behind at St. Sebastian’s College will continue even after his departure. It is futile to even try to capture in this article, the great things Fr. Bonnie has done for my Alma mater in a short period of time. Words are inadequate to elucidate the courage with which “Bonnie Swamy” turned around a school which was in complete disarray. We would like to dedicate a few words from the late Steve Jobs. May you rest in eternal peace Rev. Fr. Bonnie Fernandopulle. May God bless you.